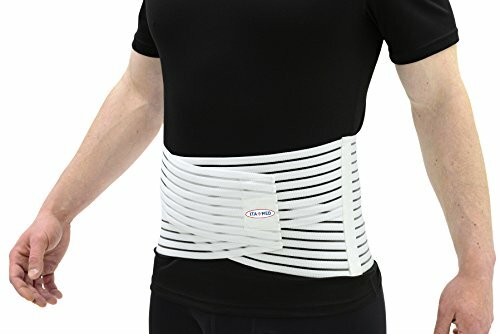 Helps maintain correct posture and reduces muscle strains and pressure on the lower section of the spine. Provides protection and relief from fatigue, strains and other back related injuries. Single pull for tension adjustment to the desired level. Back pocket for optional, removable moldable thermoplastic insert. Two spring metal stays provide increased stability. Made with breathable elastic, comfortable to wear, unnoticeable under clothes. Recommended for those who: suffer from osteochondrosis or lumbago; have ever experienced lower back pain; have undergone surgery on the lower section of the spine; lift or move heavy objects; spend long hours driving, standing or sitting without much movement. If you have any questions about this product by ITA-MED, contact us by completing and submitting the form below. If you are looking for a specif part number, please include it with your message.